Join us for Finding Your Feet with Pauline Wrighton. A fantastic workshop where you will learn how to use the many feet your sewing machine comes with and more. Detail of sewing machine and sewing accessories. Many of us have a sewing machine which we use for just straight stitching.How many times have you adjusted the dials or buttons? Sometimes making changes to our machines can be a little scary. Pauline will help with making your confidence grow so that you can use your machine to its full potential. Bring with you your sewing machine, box of accessories and the instruction book if you have it. Pauline will bring along a selection of materials you can purchase from her as well as a few of her excellent items she makes. Bring with you besides your machine fabric and threads to use and your lunch. Pauline is a retired teacher and experienced tutor. who spends many happy creative hours in her own studio. The common compulsive element in all her work is stitch, combined with diverse materials and a variety of techniques, both traditional and experimental. Fabrics may be created from raw fibres or re-cycled materials, others hand coloured and textured, de-constructed or altered. 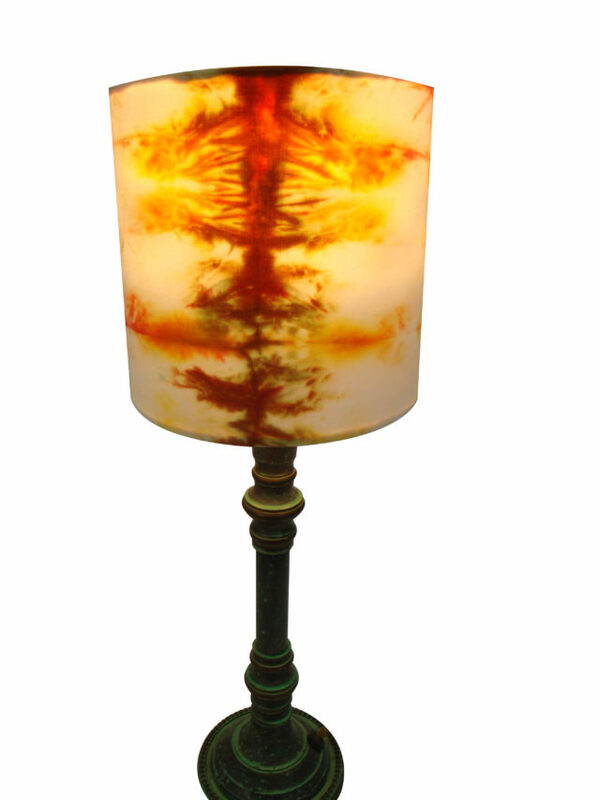 Works often develop spontaneously, colours and textures dictating the development of the piece. Pauline is largely influenced by my rural surroundings, with organic, natural forms providing a favoured conceptual source. 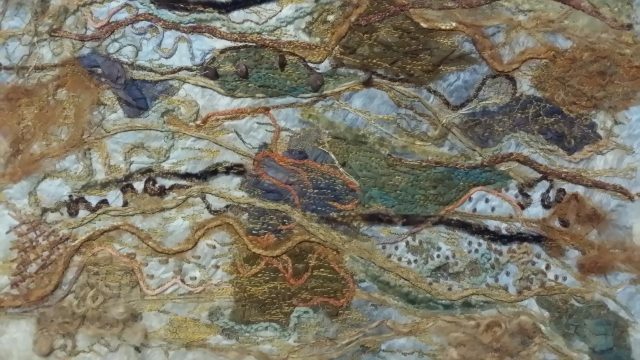 To see Pauline’s work you can visit exhibition with West Norfolk Artists, mixed media collaborative group ‘Links and Layers’ and participates over many years in the Norfolk and Norwich Open Studios scheme. Creative Machine Stitching sounds pretty scary but in fact is is much easier than you may think. 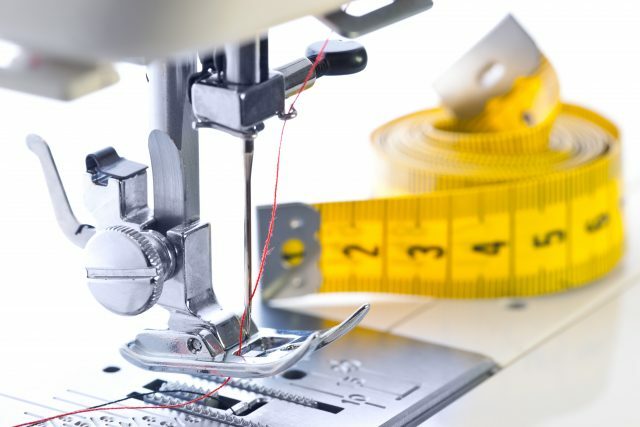 Your sewing machine can do more than stitch in straight lines. Just lower or cover the feed dogs and away you go. During this workshop I will demonstrate how to set up your machine as well as step by step instruction. You learn at your own pace. You will start with simple exercises such as sewing cords and using the stitches on your machine. We will then move on to free motion stitching with simple exercises. Once feeling confident we will start drawing with the machine. Do not worry if you feel you cannot draw we will be using templates to help you. At the end of the day you will have completed all of the exercises and made a flower using soluble film. All you need to bring is your sewing machine (if you do not have one then you can use one for the day at a charge of £5.00) You also need to bring a selection of threads for your machine. Materials included in the cost are cord making threads, Templates and soluble film. You can make as many items as you wish on your day. This workshop is every month at The Silverwood Center at Long Sutton. You can either book on line by clicking on the scheduling button below or at Silverwood. Wymondham is a lovely place to visit by car or by train. A steam train runs into wymondham so great fun for kids of all ages. Once you have visited the exhibition you can wonder around the town and take a look at the Abbey. There is a great pub next to the Arts Centre which does lovely food. So make a day day of it and see what the artists have been up to.